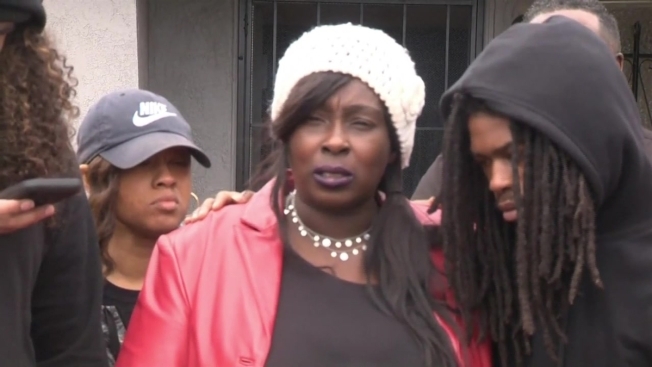 Stephon Clark's mother fired back at Schubert for disclosing her son's personal business prior to his death, saying it has nothing to do with the officer's decision to shoot him. Prosecutors announced Saturday that two police officers will not face charges in last year's fatal shooting in Sacramento of an unarmed black man that generated nationwide protests. Sacramento District Attorney Anne Marie Schubert held a news conference and said the officers did not break any laws when they shot Stephon Clark after the 22-year-old ran from them into his grandparents' backyard. Officers Terrance Mercadal and Jared Robinet have said they thought Clark, a vandalism suspect, had a gun but investigators found only a cellphone. Schubert said Clark's phone records showed a tumultuous relationship between him and the mother of his kids, and in fact, she called 911 to report a domestic violence incident two days prior to Clark's death. Records on Clark's phone showed he searched over a dozen websites on information about suicide, Schubert said Saturday. And Clark's toxicology report showed he had traces of alcohol, codeine, xanax and other drugs. The District Attorney's Office have posted all their findings, including helicoptor footage and bodycam videos, on its website. Clark's mother fired back at Schubert for disclosing her son's personal business prior to his death, saying it has nothing to do with the officer's decision to shoot him. "They executed my son. They executed him in my mom's backyard. It is not right. However, the DA has shown us time and time again through out her term who she is and what she stands for. She has never charged an officer for a homicide and there has been a 100+ homicide by police on civilians," his mother said at a news conference Saturday. The city has been bracing for protests ahead of the decision, with business owners warned by a business association and state government workers told by legislative officials in recent days to stay away from downtown at least through the weekend. Protests after the shooting were largely peaceful but disrupted downtown professional basketball games and freeway traffic. Clark's family, including his two sons, his parents and his grandparents, filed a wrongful death lawsuit in January seeking more than $20 million from the city, Mercadal and Robinet, alleging that the officers used excessive force and that he was a victim of racial profiling. One of the officers who shot Clark is black and the other is white, police said. Passions were more inflamed by conflicting autopsy results. Police said Clark was facing officers when he was killed, moving forward with his arms extended and an object in his hands. Police video of the shooting does not clearly capture all that happened after Clark ran into his grandmother's backyard. 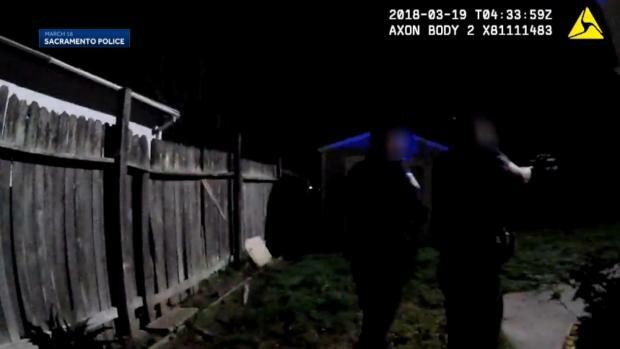 It shows him initially moving toward the officers, who are peeking out from behind a corner of the house, but it's not clear whether he was facing them or that he knew the officers were there when they opened fire after shouting "gun, gun, gun." The video shows Clark staggering sideways and falling on his stomach as the officers continue shooting. Sacramento police released new footage from the night Stephon Clark, 22, was shot and killed on March 19. Videos released Monday shows footage from 23 dashcams, 28 body cameras, two 911 calls and additional footage from the Sacramento County Sheriff's Department helicopter. Dr. Bennet Omalu, the pathologist whose study of chronic traumatic encephalopathy in football players prompted the NFL to adopt new safety rules designed to prevent concussions, said the autopsy he conducted for the family showed police shot Clark seven times from behind. The official autopsy made public later said Clark was most likely shot as he approached police, consistent with the officers' story. The pathologist retained by the Sacramento County coroner said Omalu mistook an exit wound for an entry wound, leaving the impression that police first shot Clark from the back, though Omalu defended his conclusion. California Attorney General Xavier Becerra is conducting his own investigation at the request of local officials. Use of force experts said there was little chance the officers would face criminal charges under court decisions that let officers use deadly force when they have a reasonable fear of being harmed. The standard makes it rare for officers to be charged after a shooting and rarer still for them to be convicted. Clark's shooting helped prompt pending state legislation that would allow police to use deadly force only if there if there is no reasonable alternative, including non-lethal force or efforts to calm the situation. California Gov. Gavin Newsom and civil rights advocates are calling for reforms in the criminal justice system. A video taken during a Stephon Clark rally in Sacramento purportedly shows a sheriff's SUV striking a protester at low speed. Police confirmed that a person was hit by a police vehicle, and that person was taken to the hospital with minor injuries. The American Civil Liberties Union urged for a change in state law that currently lets officers use deadly force when they have a reasonable fear of being harmed — a standard that makes it rare for officers to be charged after a shooting and rarer still for them to be convicted. The ACLU supports a bill that would allow police to kill only when it is necessary to prevent imminent and serious injury or death and require officers to use de-escalation tactics whenever possible. Newsom said society must acknowledge what he called the hard truth. He said "our criminal justice system treats young black and Latino men and women differently than their white counterparts. That must change."